The objectives of the Club shall be to improve awareness of, and access to the sport of cycling to all comers in the Outer Hebrides. 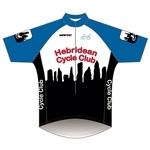 The Club aims to help provide a basis for cyclists to enjoy cycling in a responsible manner in accordance with the Scottish Outdoor Access Code. The Club will also strive to facilitate relations with other land users and owners in order to respect the interest s of others and care for the environment. Finally the Club will endeavour to provide education, improved trail facilities and trail interpretation for the benefit of cyclists and non cyclists. Full membership of the Club, with voting rights, shall be open to all persons aged eighteen and over living in The Outer Hebrides. Junior membership of the Club will be open to all residents under the age of eighteen living in Lewis and Harris. The Club shall have the right for good and sufficient reasons to terminate the membership of an individual member. The member whose expulsion is being considered will be given an opportunity to be heard by the Management before a decision is made. Once a year, in the month of October, the Club shall convene an Annual General Meeting which all members of the Club shall be entitled to attend for the purpose of receiving the Annual Report and Accounts of the Club, of electing members of the Club and Management Committee and of appointing an auditor. The Management Committee thereinafter referred to as “the Management” shall consist of three members made up by a Chairperson, a Treasurer and a Secretary and will be elected by and from the members of the Club. At the first and subsequent Annual General Meetings, all members of the Management shall retire from office but will be eligible for re-election. All co-opted members of the Management shall hold office only until the Annual General Meeting following their co-option. The Management shall have the power to appoint such sub-committees as it may from time to time decide and will determine their powers and terms of reference. The Committee shall have the power to co-opt not more than three additional members who shall be members of the Committee but shall not be entitled to vote. The Management Committee may co-opt advisors and non-voting observers as required. The Management at its first meeting each year after the Annual General Meeting shall elect one of its members to be the Chairperson. The Chairperson shall continue in office until the next Annual General Meeting of the Club. If the Chairperson is unable to attend any meeting of the Club or Management, the Secretary shall preside, otherwise the members present shall, before any business is transacted, choose one of their number to preside at the meeting. a) VOTING: All questions arising at any meeting shall be decided by a majority of those present and entitled to vote. In the case of equality of votes the Chairperson or the person presiding in her or his place shall have a second or casting vote. b) QUORUM: A minimum of two members shall provide a quorum at meetings of the Management. A minimum of two meetings must be held per annum. A minimum of three shall form a quorum at General Meetings of the Club. A minimum of two meetings must be held per annum which includes the Annual General Meeting. c) MINUTES: The Club shall keep Minutes and the Secretary shall record all the proceedings and resolutions. All monies raised by or on behalf of the Club shall be applied to further the objects of the Club and for no other purpose. The Treasurer shall keep proper accounts of the finances of the Club and shall pay any monies not immediately required in to an account in the name of the Club at the Lloyds TSB , Francis Street, Stornoway or such other bank or building society and shall be determined by the Club at an Annual General Meeting. The Management members who shall be authorised to sign cheques on behalf of the Club will be the Treasurer and Secretary. The accounts shall be audited at least once a year by a qualified auditor or auditors who shall be appointed at the Annual General Meeting. For the purposes of yearly account audits the financial year of the club will run between 1st of April and 31st of March in the following year. Any proposal to alter this constitution must be delivered in writing to the Secretary of the Club not less than twenty-eight days before the date of the meeting at which it is first to be considered. A resolution to alter this constitution shall not be effective unless twenty-one day notice shall have been given of the meetings at which such an alteration id proposed and the resolution has been passed by three-fourths majority of those present and entitled to vote. If the Club decides at any time that it is necessary to dissolve the Club, it shall call a meeting of all members not less than twenty-one days before the date at which such dissolution is first to be considered. In the event of dissolution of the Club, its assets (including any monies held in its bank account) may only be transferred to a charity in the area and if possible one with similar objects.